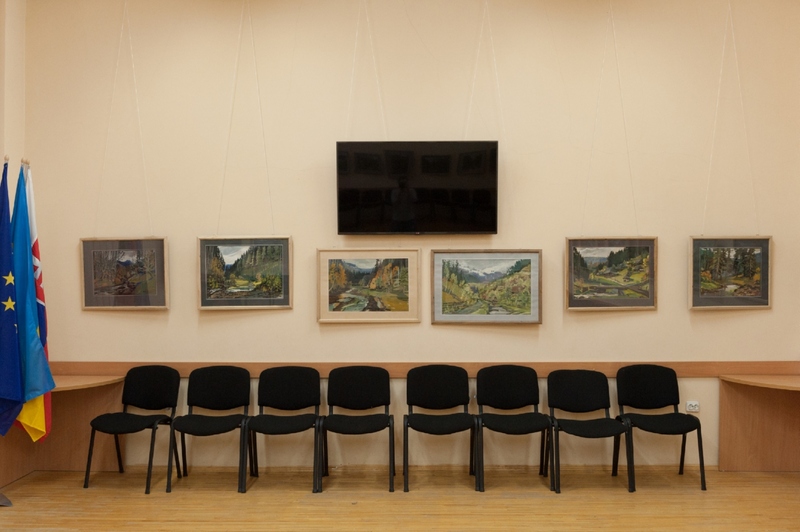 The Slovak Cultural Centre has been functioning since 2011 under the cultural and educational organization “Matica Slovenska” in Ukraine. The centre is located in the very heart of Uzhhorod in the reconstructed building of the former male gymnasium (now the secondary school No. 4 in the Slovak language of study). The old building of silicate white brick built back in 1904. For more than a hundred years, five schools have been operating here, and it is interesting that each was alternately taught in another language. 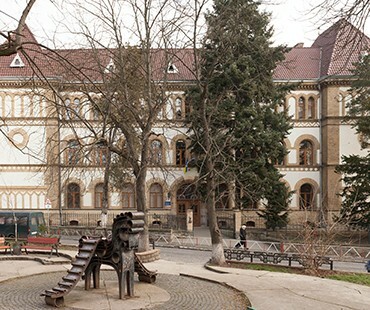 Thus, until 1918, there was the Hungarian male gymnasium, then, until 1938 – Russian bourgeois school with the Czech classes, and during the Second World War - the Hungarian State School for Young Men. 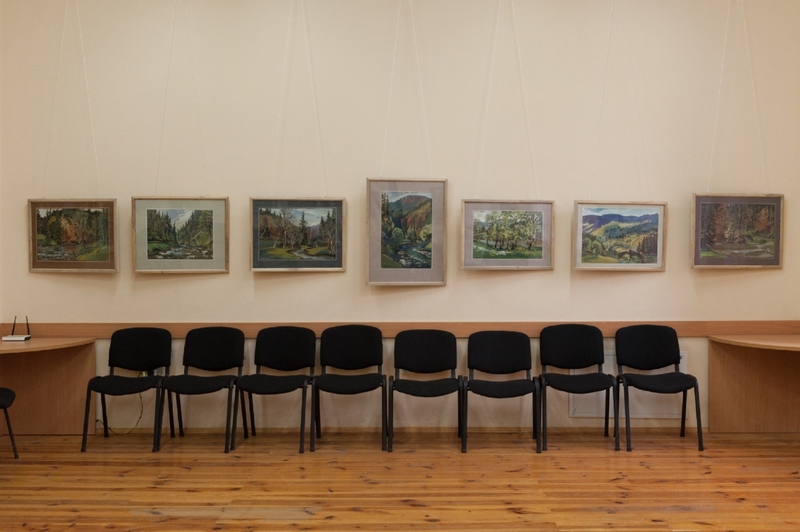 Until 2008, in the educational institution there was taught in Russian, and during the last ten years in Slovak. The history of the students who studied here can be examined by the bricks they were painted on. This is a symbolic reminder of a respectable age of the institution. The Slovak cultural centre itself occupies a separate wing of the building. 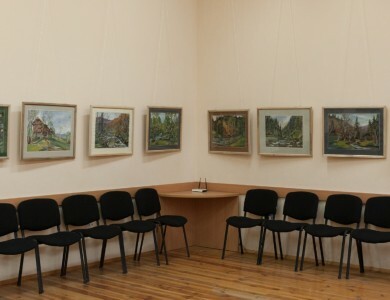 In addition to the administrative premises, there is a spacious conference room, a library and an archive. In the modern, technically equipped centre, it is always crowded. The room is always full, and there are always a variety of activities and events ranging from training courses to the top-level guest visits, international meetings and conferences. 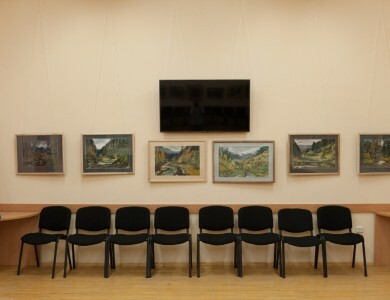 Slovak Cultural Centre "Matica Slovenska" kindly hosts the exhibitions of both Ukrainian and international artists. Throughout the life of the exhibition hall, the organization has held more than twenty collective, personal, and traditional expositions. 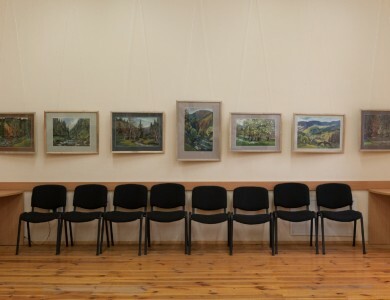 The walls of the Slovak cultural centre remember paintings and sculptures from various periods of creativity of such artists as Volodymyr Mykyta, Mykola Dufynets, Michael Peter, Vladyslav Hanzel, Vasyl Sochka, Serhii Biba, Anna Landovska, Vladyslav Buchyna and many other Transcarpathian artists. 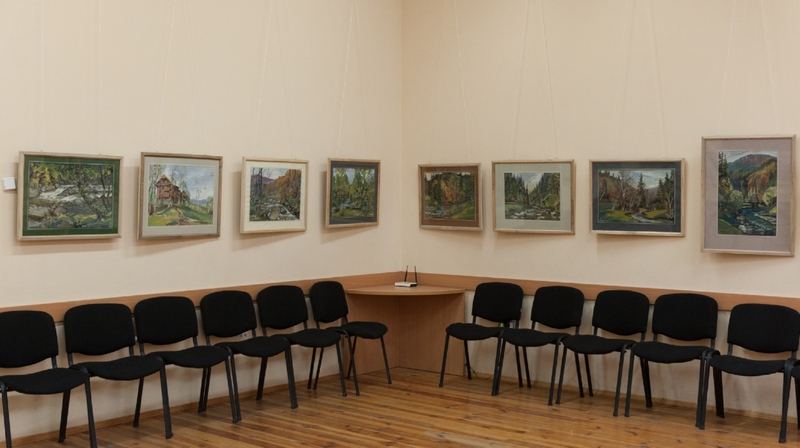 Significant interest among the art connoisseurs in Uzhhorod is arisen by the foreign and international projects (for example, the exhibition of caricature works "Swelling of the Brain") realized on the walls of the educational institution.